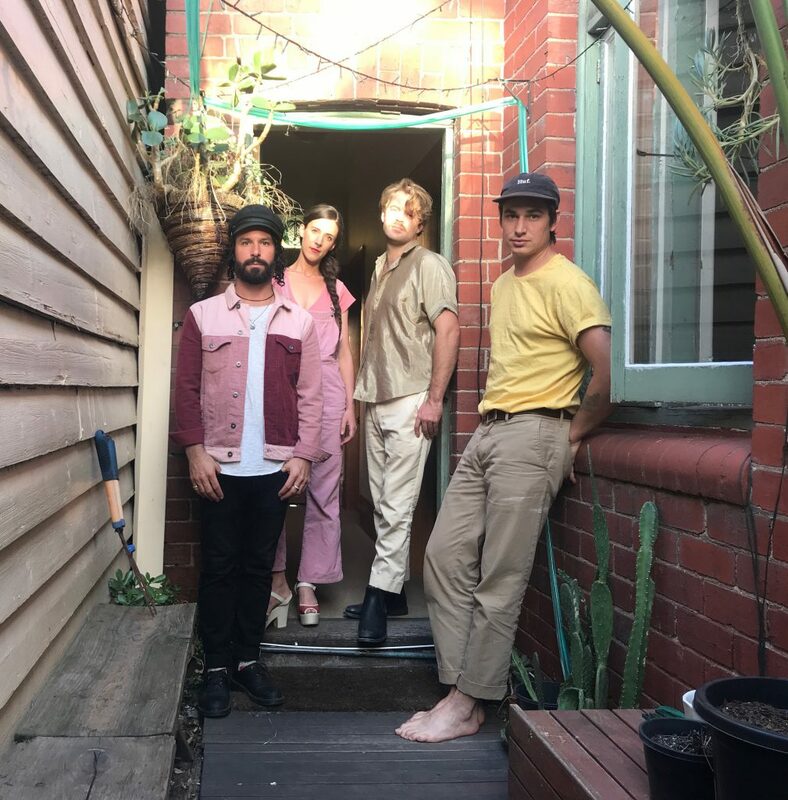 Today we’ve got the pleasure of premiering the brand new clip from local psych-pop group Carousel Club - both sonically and visually, ‘Bitter’ is an addictive burst of colour, that comes packed with clever hooks and playful charm. Considering their busy 2018, the last few months have seemed pretty quiet for Carousel Club. But as it turns out, they’ve been bunkered up in the studio working on their debut EP, and today we’re being treated to the first taste of it with ‘Bitter’. Immediately contagious, ‘Bitter’ opens gently with some jangling guitars and zigzagging keys, before it bursts into a wall of colour, packed with bright guitar leads, bouncing beats and a heap of charm. Vocalist Ryan Cornelius quickly steals the limelight and weaves an instantly catchy melody that ducks and weaves casually around the laid-back instrumentation. Just when you think the track couldn’t be more addictive, the band shift into an explosive chorus, full with chiming guitars, driving grooves and glorious falsetto vocals, successfully inserting the track into your brain for the rest of the day. That said, despite the track’s upbeat mood, the themes are a little heavier as Ryan explains “'Bitter' is about not dwelling on the past - rather, learning from it and improving yourself as opposed to becoming bitter and jaded about life’s difficulties." To accompanying the single is a brand new clip created by the band’s own Claire Blankendaal. Despite being relatively simple, it perfectly matches the track’s playful nature, with its immersive colour and dizzying layers. Describing the clip, the band say “the clip’s concept ties into the subject [of ‘Bitter’], showing the emotional journey of coming to this conclusion. Explosive reactions, moments of sadness and moments of clarity and joy." Check out the clip for 'Bitter' above, and keep an eye on Carousel Club's Facebook page for the announcement of their upcoming launch show.